So in the great american tradition of arbitrarily applying numbers to things and putting them in a list in descending order, I present the best songs from Tim Burton's Sweeney Todd. It's hard to judge these songs on just sound, and lyrics, since they are all tied to the expert cinematography of the movie, and this song makes this list just because of the hilarious imagery presented throughout the song. Even though Johnny Depp doesn't even sing in this song he still makes it all the better with his sullen looks of despair. I believe this song comes towards the end of the movie, do not confuse this with the song at the beginning of the movie. I think if you were to describe any of the songs from sweeney todd the best word would have to be schizophrenic, and this one, and maybe epiphany are the most outlandishly schizophrenic songs in the movie. Great singing by Johnny Depp and that guy who kind of looks like Keira Knightley from a distance places this song firmly at number 3 on this list. "Not since Johnathan Swift's a modest proposal has the thought of eating people seemed so fun, and appetizing." There Tim Burton that quote ought to be on the back of the DVD cover. Wait I'm supposed to talk about the song, yes this is a great song, and I'm surprised that Johnny Depp, and Helena Bohnham Carter were able to pull off singing a song about eating people without going insane, or dying of laughter. In fact who wrote this song anyway Stephen Sondenheim or something, AMerican Idol should hire that guy to write songs for the contestants to sing, that would be amazing. When I first heard this song in the movie theater I couldn't stop smiling, it's so delightfully perverse, and insane that it's just great. This song in my opinion is the culmination of the entire movie, combining memorable lines from previous songs to create a memorable medley that had me in awe the whole time. But honestly this song had me at "We all deserve to die". I may start updating this blog semi-regularly, I don't really know if anyone reads this crap, but if you do prepare. I will probably be writting about a bunch of Tim Burton movies, which probably makes me an honorary goth or something like that. 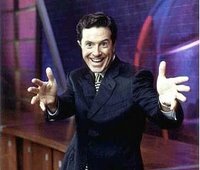 Okay so who's bright idea was it to have Stephen Colbert host the 2006 White house correspondents's dinner. In my opinion it was a total disaster. 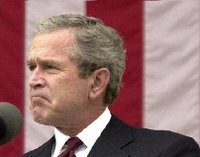 Most of Colbert's jokes just completly fell flat, and whenever the camera panned to Bush he looked really pissed, or just really confused. I kept expecting to see a secret service agent snipe him off the stage. Now don't get me wrong, I really like colbert, I think his show is hilarious, but why he was chosen to host this dinner is beyond me. Oh well at least it was on MSNBC, not like anyone watches that channel anyway. The only time I laughed was when Colbert made that joke about John McCain being a maverick, and his joke about Mayor Ray Nagin. While we are on the Subject of that dumbass mayor of New Orleans let me show you a picture some dude made of him. Now whatever you do, do not tell That Guy uhh about this picture he would be so pissed. So back to Ray Nagin, first he makes the chocolate city remark, and just recently after he gained a plurality in the New Orleans Mayoral election he publicly stated that he was surprised anyone voted for him. All this does is reaffirm my belief that being the mayor of a city means nothing, if a dumbass like him can be one. The first step is to collect your supplies. You will need crunchy peanut butter (smooth is for pansies), jelly, WHITE bread (no whole wheat you crazy hippies), and a KNIFE. To get the supplies head over to the local grocery store with a friend. When you enter the store, grab all the items you need, and place a few other things in your friends hands. Now push him out of the door to the grocery. This should trigger the alarms, once the alarms are triggered the security should be too distracted with your friend to care about you, and you can escape with the supplies. Now that you have assembled all of the supplies you will need to test the sharpness of the knife. First grab it and rub it against your neck. If your neck starts to bleed, then the knife is sharp. Now that you have the knife in your hand raise it above your head and chase the nearest person. Make sure you yell, "AGGHHHHH!!!!! ", it's important. After you finish chasing the other person grab a sledgehammer. Walk over to the peanut butter jar, and smash it, also smash the jelly after you smash the peanut butter. Then smash your left hand (you won't need it for the rest of the project). You now have a peanutbutter and jelly sandwich aren't you special. Oh you think your so great don't you....Well idiot remember who told you that trick. YEAH your good friend RABBIT-MAN. 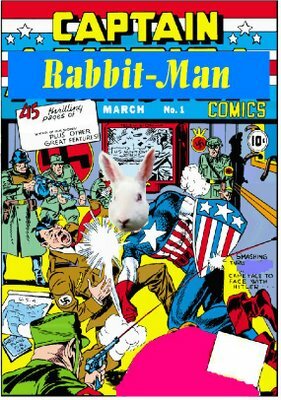 Rabbit-man, the man, the myth, the legend..
Also this picture is for you young'uns who don't remember me in my Nazi fighting days. Everyone take note, I Rabbit-man will be the Ruler of all Blogs. So I have been absolutely flooded with mail from readers recently, most of them saying how great I am, and how they quote me so people will think they are smart, and how charasmatic I am....I could go on and on, but don't worry, I will talk about how great I am in a future post, or maybe I won't. Yeah what are you gonna do about it punk.....yeah that's what I thought. Well Mr. Dumbass, let me answer your question.... 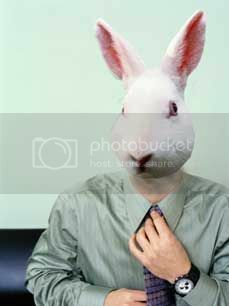 Yes you have no friends, but do not fret, because I Rabbit-man will give you some of my friends. Yes I think I have 590 something friends on this blog, so feel free to take some, it's not like I'm using them anyway.....Wait....oh snap...I'm sorry Mr. Dumbass I misread your question....DID YOU JUST SAY THAT I DON'T HAVE ANY FRIENDS, WHAT THE F***. LET ME SEE IF I UNDERSTAND YOUR LOGIC, BECAUSE I SLAVE AWAY AT THE COMPUTER FOR A COUPLE OF MINUTES, EACH WEEK, THIS MEANS I HAVE NO FRIENDS. NOOOOOO!!!!!!!!!!!!!!!!!!!! Oh man let me think for a minute here, I think I had a friend once, but then I realized I was too cool for them, yeah that's right, and after I defeated him in a steel cage texas death match, we weren't friends anymore. Anyway, I don't have time for friends. Look at this sample of how my time is divided out between other activities. You can't be a successful cryptozoologist and have a whole, bunch of friends it's impossible!! No shut up, I said it is impossible DAMNIT!!! 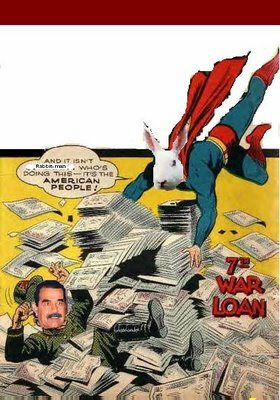 !The world is safer with Rabbit-man the Cryptozoologist, not Rabbit-man, the friend running around. Rabbit-man Theme song of DOOM!!! 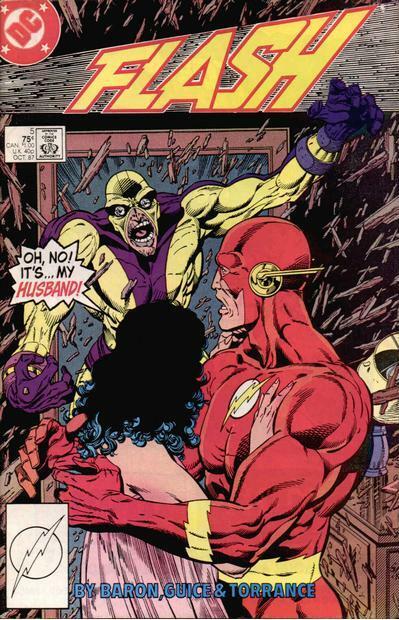 First off an archbishop cannot be made into a zombie. Do you have any idea on how much the church protects against this. They would not let any one of their members become zombies, maybe they would let one of those deacon guys become one , but other wise they won't. 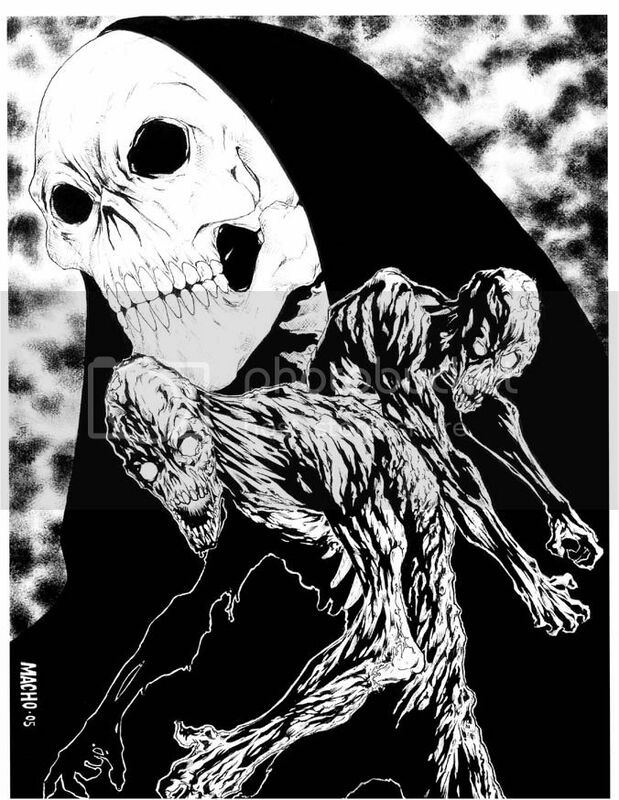 To get around the church's zombie safeguards a zombie priest would have to dance around with a dead chicken at least twice as long as normal. The total amount of time doing all of this could be spent taking over the world with a zombie army. 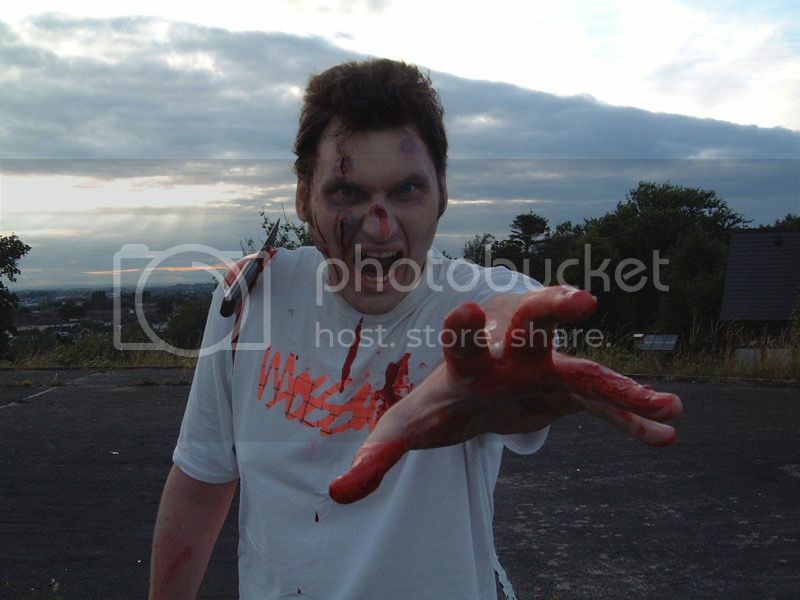 If I had a zombie army I would take over the world. You know how easy it is? Zombies are so stupid, you could make them do anything. If you are bored have your zombies fight each other, that is always fun to watch, or you could have them reenact your favorite movies. Why use a DVD player when you can have your army of zombies recreate your favorite battle scenes from the lord of the rings trilogy, in full 3D action. 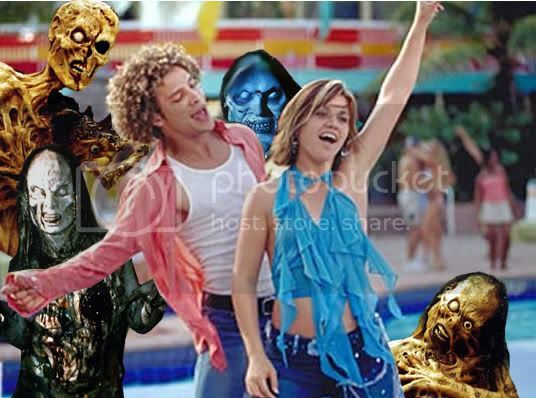 See look at this zombies devouring helpless tourists. Why do they look so happy though? They should be scarred dammit. Do they know what horrors await them as zombie slaves? Guess not. Vicious dreamer has just posted the most malicious and vile attack ad against me on his blog. Now it is time friends, time to destroy Vicious Dreamer, and stop his mad campaign against me. Vicious Dreamer you should listen to that wise man I've displayed in my picture. There is no safe place for you to hide. I can find you in your blog, or at the I HATE PORK blog, There will be no peace for you as long as my Rabbit-heart beats. You think you are safe at your home. Well let me show you what happened to another enemy of mine Vicious Dreamer. Do you think he survived? Remember I am part Rabbit, and as such I can communicate with animals. You had better watch out. That cute little puppy across the street, that caged gorilla at the zoo, those adorable little ferrets in their seemingly secure cages, they are all after you now Vicious Dreamer. Is this a new cryptid? What do you the common people think of the fearsome PAN-DOG.